Popplio looks adorable and I want it. Of the 3 starters, my favorite is definitely Rowlet. EDIT: and as long as I have tons of haircut and dress-up options for the girl character like in X/Y, I'll be happy. Playing dress-up and making those 10 second movies in X/Y was awesome. I'm going to be going with Litten and Sun. Because I always choose the fire starter and always choose the "red" version (except for Diamond and Pearl I guess). 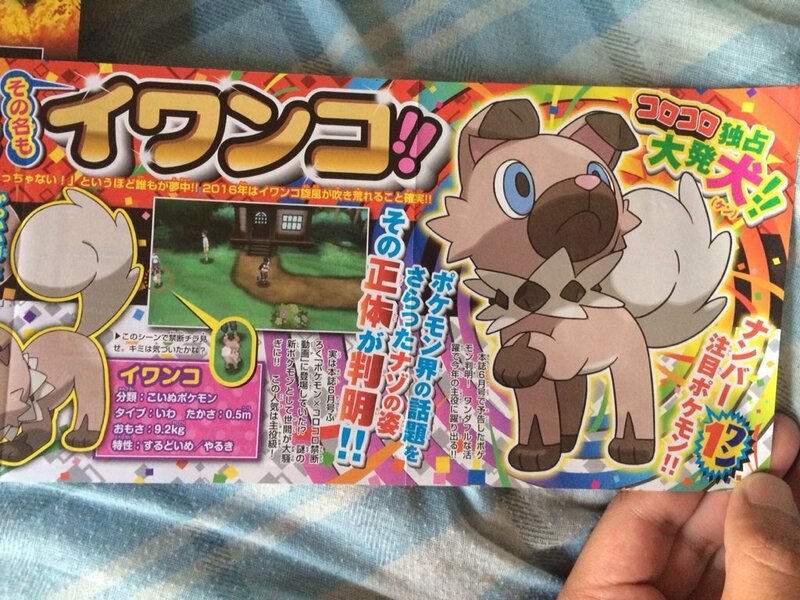 I think I will probably also pick up Moon (or get a combo pack) so I can catch all the version exclusive legendaries in premier balls! So any thoughts on yesterday's news? I'm looking forward to the roto-dex, and I personally am fine with the legendary typings, even the sun pokemon that is weak to fire. Sun Legendary being weak to Fire made me laugh. I still don't really like either Legend design personally, I thought Xerneas/Yveltal were cooler- maybe they'll grow on me though. Bit disappointed we didn't see any new Pokemon, but this is standard procedure as I recall. 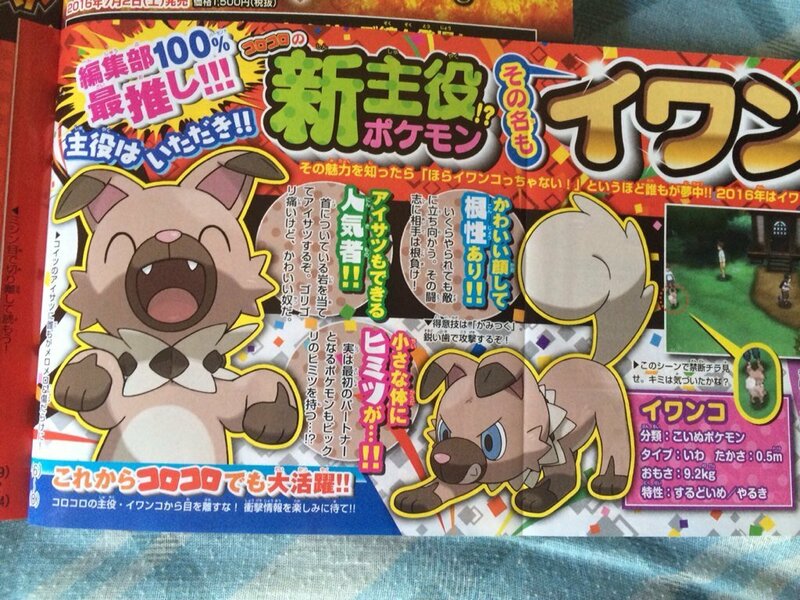 To me, the big draw of the announcement was seeing more of Alola. The Rotodex map and the what we were shown seem to imply there's a bit more road forking this time around. An active map would also mean they could make another city like Lumoise without making it a headache to navigate. I'm really hoping what they'll do is make lots of boat rides during the badge quest portion of the game to get around the water, but also have actual routes between the islands to allow water/diving exploration afterwards. Best of both worlds for people who hate Hoenn's forced water routes. That clip of going into battle with Hau had little details I liked- the sound of Pokeballs icons clicking on the status bar and the little animation for him throwing/catching the Pokeball. Hoping that them not needing to redo all the graphics this time means they got more time to polish more of the rest of the game like that- XY and ORAS were a bit lacking in that polish IMO. Guess I'm on quite the uphill battle then. I want Rowlet, but the grass/flying makes it quadruply weak to ice. I want Sun version, but its legendary is weak to fire and Moon's legendary is a ghost type and ghost is my 2nd favorite Pokemon type after Flying. ...still gonna go for Sun and Rowlet. When are they introducing triple type pokemons so that you can potentially take 8x from something? I don't use legendaries in my main team, but I like Lunala's ghost/psychic typing more than Solgaleo's. They both have a really silly weakness - Sun Pokemon is weak to fire, Moon Pokemon is weak to dark. The latter makes more sense because Lunala absorbs light so in that respect I can let it slide. Rowlet and Moon for me so far. I'm leaning towards Sun, but I'm torn. Starting with Popplio, most likely. Love that lil cutie. So we apparently have 10% and 100% Zygarde now. 100% is a lot smaller than I thought it was. It's just GameFreak being bad at paying attention to details like usual. Some of the other 3D games (I think it was Colosseum) had a huge proportionate model for Wailord and the like, really wish they still did that. Japanese version of the video has what I'm guessing is the regular battle music playing in the background. Not a huge fan personally, the song feels like it's all over the place. Maybe I'll change my mind when I hear the whole thing. 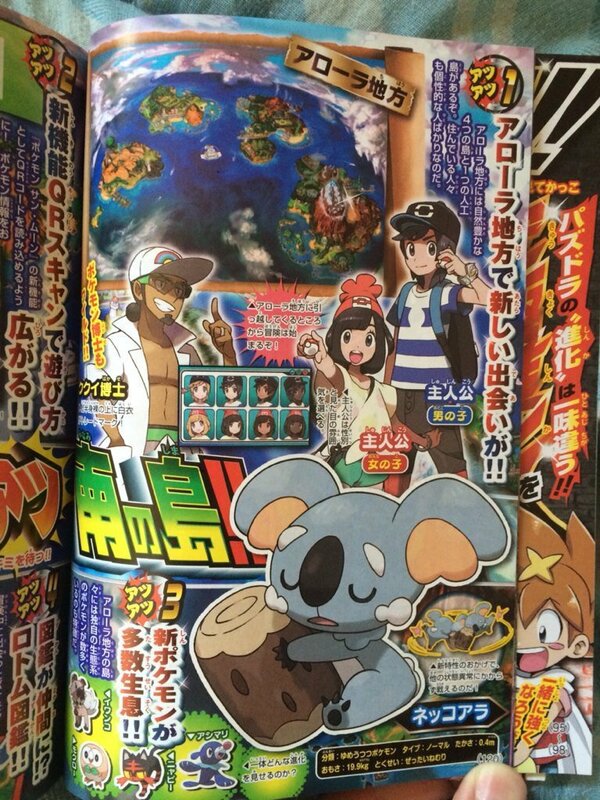 Also we have a Koala and a Rock Type Dog.